If you’re considering relocating to Austin, you likely know the type of neighborhood you want to live, but aren’t really sure where to find it in the Austin area. To help you start your research, we’re going to make lists of neighborhoods that meet certain criteria. Today, we’ll show you the neighborhoods within 30 minutes of Downtown Austin with highly rated schools and amenities. We’ll split these neighborhoods up by area of town, so you can narrow down your list by geography. To give you an overview, here are the neighborhoods on this list mapped out. The map is interactive, so you can use it to explore neighborhoods or the community. West Austin (78746, 78733) is the closest you’ll be able to get to Downtown Austin with highly rated schools and amenities. The Eanes ISD is not only the best school district in Austin, it’s also in the top 10 statewide. Though every school in the Eanes ISD is highly rated, you’ll only find a few neighborhoods that have community amenities. For more info and to search homes for sale, visit our West Austin Neighborhood Guide. Senna Hills was built in the 1990s and 2000’s by a handful of custom and production builders. The newer section has tile roofs, which give them more of a Spanish look, while the older section retains their traditional style. Senna Hills has a community pool, basketball and tennis courts as well as a kids’ playground. Senna Hills is the perfect choice for you if you want a newer home with more of a suburban feel in the Eanes ISD. For more info and to search homes for sale, visit our Senna Hills Neighborhood Guide. Barton Creek West was built from the mid 1980s to the mid 1990s adjacent to hundreds of acres of Barton Creek greenbelt, so many of the homes have beautiful views in a peaceful setting. Though many of the homes have their own swimming pools, Barton Creek West residents have access to a community pool, tennis courts, kids playscape and miles of hike and bike trails. And, with two on-site Eanes ISD schools, it’s one of the only West Austin neighborhoods where you can walk your kids to school. For more info and to search homes for sale, visit our Barton Creek West Neighborhood Guide. Southwest Austin is the second closest area to Downtown Austin. While many of the northern suburbs are too far to travel on the side roads to get to Downtown and save any time, many of these Southwest Austin neighborhoods have different routes you can take to avoid the freeways. If time to Downtown Austin is important and you don’t have the luxury of planning around peak commute hours, Southwest Austin is one of the best areas to consider. For more info and to search homes for sale, visit our Southwest Austin Neighborhood Guide. One of the largest and closest master planned communities to Downtown Austin, Circle C was built from the 1980s, with construction still going on today. With it’s convenient location at MoPac and Slaughter, Circle C is a popular choice for buyers looking to have easy access to freeways and Downtown Austin. Circle C has two (soon to be three) amenity centers with a year round, heated Olympic sized pool and a resort style pool with water slide, sport courts, 5 community parks, miles of hike and bike trails, disc golf and meeting rooms. You’ll also find three on-site schools: two elementary and one middle school. Bowie High School is located just across MoPac on Slaughter, so it’s not too far either. Circle C has options for first time home buyers to luxury home buyers, making it an ideal choice for a range of buyers looking for highly rated schools and amenities. For more info and to search homes for sale, visit our Circle C Neighborhood Guide. Shady Hollow was built from the 1970s to the early 2000’s and is another popular choice for home buyers looking for highly rated schools and amenities near Downtown Austin. With five sections of the neighborhood, all but Barker Ranch have access to a community pool, playgrounds, meeting rooms with kitchen facilities and tennis courts. The Shady Hollow HOA is very active and is one of the reasons the neighborhood is so close knit. Shady Hollow also has two highly rated schools (elementary and middle) on site, making drop off and pick up easy for parents. For more info and to search homes for sale, visit our Shady Hollow Neighborhood Guide. Meridian is often confused as being part of Circle C, but is actually it’s own neighborhood with community pool, park, covered pavilion with picnic tables and BBQ and hike and bike trails. Build out was complete in 2014 and was built in 3 sections by some of Austin’s top rated builders. A new section of luxury homes on estate sized lots is under construction in 2016. Meridian is divided into four sections and has options for smaller homes on smaller lots for less money all the way up to luxury homes on large, golf course lots. With an on-site elementary school, Meridian is the ideal choice for someone who likes the location of Circle C, but is looking for something a bit more intimate. For more info and to search homes for sale, visit our Meridian Neighborhood Guide. Though these neighborhoods all have Austin mailing addresses, residents would probably tell you they would relate more to Dripping Springs than Austin. Located in the very highly rated (top 60 in Texas) Dripping Springs ISD and with minimal traffic to Downtown Austin, even during commute hours, it’s easy to see why more and more people are choosing the Dripping Springs area. For more info and to search homes for sale, visit our Dripping Springs Neighborhood Guide. Reunion Ranch is the newest Southwest Austin community on this list. Built exclusively by Taylor Morrison starting in 2012, Reunion Ranch will have 437 homes at build out. Residents will have access to a state of the art business center, entertainment area for private events, picnic and BBQ areas, playscapes, large gated swimming pool and sport courts. Located in the highly rated Dripping Springs ISD off 1826, Reunion Ranch feels like it’s in the country without being more than 30 minutes from Downtown Austin. If you’re looking for a suburban neighborhood in a peaceful setting where you can still see stars at night, Reunion Ranch might be the place for you. For more info and to search homes for sale, visit our Reunion Ranch Neighborhood Guide. 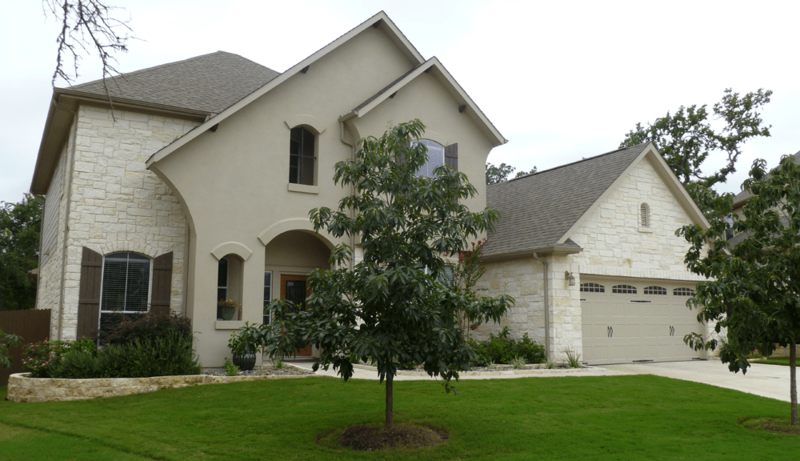 Belterra was one of the first suburban feeling neighborhoods in the highly rated Dripping Springs ISD, which is in the Top 60 School Districts in Texas. Named Best Overall Community in Austin by the Austin Home Builder’s Association and if you’ve spent any time there, you know why. Though the neighborhood feels very suburban, the surrounding area has more of a country feel, so it’s perfect for the person who loves the idea of living in the country without actually living in the country. Belterra residents enjoy access to a community pool, sports courts and fields, parks, fitness center, meeting rooms and on-site elementary school. For more info and to search homes for sale, visit our Belterra Neighborhood Guide. Highpointe, located adjacent Belterra is similar in a lot of ways and yet different in others. Highpointe is a bit smaller than Belterra and does not have an on-site elementary school, but has bigger homes at a slightly better price. Highpointe residents have access to a world class amenity center with four swimming pools, tennis courts, greenbelts and hike and bike trails. If you like Belterra, but want a bit smaller community with quality amenities, check out Highpointe. For more info and to search homes for sale, visit our Highpointe Neighborhood Guide. The Lake Travis area, named for Lake Travis and the Lake Travis school district, is very popular among buyers looking for newer construction with amenities and not too far from the Lake. The Lake Travis ISD is in the Top 20 districts statewide and has very highly rated schools for a fraction of the cost of Eanes ISD schools. For more info and to search homes for sale, visit our Lakeway and Bee Cave Neighborhood Guide. Lake Pointe is one of the oldest Lake Travis area neighborhoods, but it also makes it the closest to Downtown Austin. Located just east of 71 on Bee Caves Road, Lake Pointe residents enjoy highly rated Lake Travis ISD schools and on-site elementary, an established neighborhood with mature trees within 25 minutes to Downtown Austin. You’ll find 3 miles of hike and bike trails, community pool, tennis courts, basketball court and Lake Austin access. And, only minutes to the Hill Country Galleria, you’ll have access to highly rated shopping and restaurants. For more info and to search homes for sale, visit our Lake Pointe Neighborhood Guide. Rough Hollow has one of the best amenity centers in all of Austin, with a Rough Life Director who is in charge of planning activities for residents. Residents enjoy the Rough Hollow Marina with boat docks, Rough Hollow Grille with great food, Highland Village with resort style community pool, lazy river, splash pads, fishing pond, fitness center and yoga. Rough Hollow first opened in 2006 and building is expected to continue for a couple of decades with everything from modest homes to luxury estates. For more info and to search homes for sale, visit our Rough Hollow Neighborhood Guide. Sweetwater is developed by the same developers who developed Steiner Ranch and is poised to be one of the best neighborhoods in Lake Travis. With a resort style pool, sport courts, playground and endless community activities planned by the very active HOA, Sweetwater has options for everyone looking to meet their neighbors. You’ll find a solid range of homes in terms of size and price, which appeals to a number of buyers. For more info and to search homes for sale, visit our Sweetwater Neighborhood Guide. Bella Colinas, located in Bee Cave, is one of the few Bee Cave neighborhoods with amenities. Residents enjoy access to an amenity center with community pool and park. Bella Colinas has a range of prices and finish out, so whether you’re looking for your first home or your last and best home, you might find it in Bella Colinas. For more info and to search homes for sale, visit our Bella Colinas Neighborhood Guide. Northwest Austin is the third closest you can get to Downtown Austin and is where you’ll find Austin’s hilly topography. Traffic in this area is a little heavier than you’ll find in the Southern suburbs, but better than coming from Round Rock or Cedar Park. Northwest Austin is, however, home to some of Austin’s most popular and largest neighborhoods. For more info and to search homes for sale, visit our Northwest Austin Neighborhood Guide. Steiner Ranch broke ground back in the 1980s and building continues today, though it’s pretty close to build out. Steiner Ranch is bigger than a traditional neighborhoods, with several sections and hundreds of homes. It is definitely the biggest neighborhood on this list and also one of the best in terms of amenities. With a full time activities director whose job it is to plan activities for residents, you won’t find any shortage of things to do for kids and parents of all ages. Steiner Ranch has three community pools, Lake Austin access, several parks and a private golf club. For more info and to search homes for sale, visit our Steiner Ranch Neighborhood Guide. Canyon Creek is located on a piece of hilly terrain in Northwest Austin, which attracts those looking for an established neighborhood with mature trees, but don’t like the flat neighborhoods in South Austin or Cedar Park. Mostly built in the 1990s, Canyon Creek has larger homes than you’d imagine on oversized lots. There you’ll find highly rated schools with an on-site elementary school, community pool and park. Canyon Creek is definitely one of the prettier neighborhoods on this list. For more info and to search homes for sale, visit our Canyon Creek Neighborhood Guide. Avery Ranch is another massive master planned community in Austin. With five community centers, community pool, several parks, sand volleyball, sport courts, ball fields, tennis courts, amphitheater, hike and bike trails and public golf club, Avery Ranch residents are never short of something to do. Building began in 2001 and continues today. Almost every well known production home builder have built homes in Avery Ranch, giving the neighborhood variety. For more info and to search homes for sale, visit our Avery Ranch Neighborhood Guide. These neighborhoods will be 30 minutes to Downtown Austin during off peak traffic hours. During peak traffic hours, you’re looking at an hour or more to Downtown Austin because of the way our traffic patterns are. Traffic coming from North Austin suburbs is much heavier than traffic coming from South Austin suburbs. For more info and to search homes for sale, visit our Round Rock and Cedar Park Neighborhood Guide. Ranch at Deer Creek was built from 2001-2007 by Taylor Morrison and Standard Pacific. With just over 1,100 homes in the neighborhood, Ranch at Deer Creek is big enough to have the community pool and parks, but not so big to where you’d feel overwhelmed. The landscaping has matured, so you get more of an established feel with homes that are only a few years old. The neighborhood also has a highly rated on-site elementary school, so you’ll often see kids walking to school. For more info and to search homes for sale, visit our Ranch at Deer Creek Neighborhood Guide. Twin Creeks Country Club is a luxury golf course community with everything from affordable to luxury golf course homes in a highly rated school district with great amenities. Residents enjoy access to the community pool, clubhouse, tennis courts, sports courts, hike and bike trail, playground and park. If you love golf, you can join the country club and never be too far from the course. Located at the start of the Texas Hill Country, you’ll also get some pretty great views. For more info and to search homes for sale, visit our Twin Creeks Country Club Neighborhood Guide. Ranch at Brushy Creek was one of the fastest selling communities in the Austin area and when you see it, you won’t be surprised why. With 1,300 homes and counting, Ranch at Brushy Creek first opened in 2005. Spanning two school districts, Ranch at Brushy Creek is known for a higher than expected level of finish out in their affordable homes. Homeowners enjoy the neighborhood’s community pool, park, walking trail, toddlers pool, covered pavilion and picnic area. For more info and to search homes for sale, visit our Ranch at Brushy Neighborhood Guide. Behrens Ranch is one of Round Rock’s most highly sought after communities with highly rated schools, not too far from Downtown. Community amenities include a community pool, club house, playground, hike and bike trails, covered pavilion, open space located throughout the community and an on-site elementary school. Behrens Ranch spans over 500+ acres and has options for affordable to luxury home buyers. For more info and to search homes for sale, visit our Behrens Ranch Neighborhood Guide. For more info and to search homes for sale, visit our Walsh Ranch Neighborhood Guide. Median and average prices are from ACTRIS data 11/01/2016-10/31/2017. What Criteria Did We Use to Make this List? To make this list, we looked at all the neighborhoods that are within a 30 minute drive to Downtown Austin without traffic. In the article, we explained which areas you should stick with if you had to drive to Downtown Austin during commute hours. Next, we excluded neighborhoods that had schools that were below 8/10’s on GreatSchools.org. Then, we looked for which neighborhoods had amenities for their residents to use. Which is the Best Neighborhood for You? Though this is a smaller list than every neighborhood in the Austin area, it is still a lot to go through. If you need help paring down this list, fill out our Austin Neighborhood Finder and we’ll send you a list of neighborhoods that more closely meet what you’re looking for. Considering Buying a Home in the Austin Area? Our team of experienced buyer’s agents have a combined 58+ years of experience. We know how to help you find the right home in the right neighborhood for your family. We’ll counsel you to make an informed purchase decision, not hard sell you the very first house you see. If you’re looking for a buyer’s agent who will share honest unbiased info with exceptional customer service, we might be the right Austin Realtors for you. Check out our Austin Home Buyers page for more info about who we are and how we work. Then, fill out our Buyer Survey, call us at (512) 827-8323 or email us at info@11OaksRealty.com to schedule a no obligation consultation.